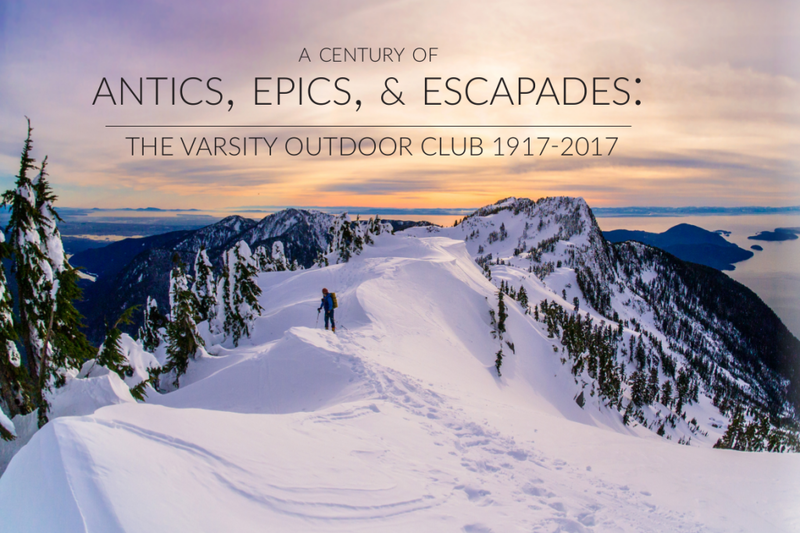 The Varsity Outdoor Club has turned 100. To celebrate the rich history of the clubs wilderness (mis-)adventures we’ve independently published the best of our collective stories from the last century into one beautiful coffee table book. The VOC has been intimately tied with the history of hiking, skiing, mountaineering and exploration of Southwestern British Columbia and beyond. From building a wooden cabin on the untamed wilds of Grouse Mountain (in the 1920s), to the first ski crossing of the now ultra-classic, “Neve Traverse” in Garibaldi Park, to modern adventures pushing how far and how fast we can go. Each chapter explores the decades from 1917 to 2017, combining primary written accounts, stunning photos and oral histories of the members into a larger unfolding narrative of the ever-evolving relationship between adventurers and nature. “These connections and feats of human effort are in the foreground of the book and are intimately linked with the history of human exploration of the wilderness around Vancouver and beyond.” –Ubyssey.